Poised over a peaceful lake in the midst of Burmese’s lush interior, the Inle Princess Resort made of 46 individual chalets is a calming retreat where rest, relaxation, and appreciation of your surrounds is at the heart of your experience. Built from local timber and reflecting the traditional architecture of the Shan culture, the resort boasts awe-inspiring views over the blue expanse and offers a host of activities to get you acquainted with the region and its unique culture. 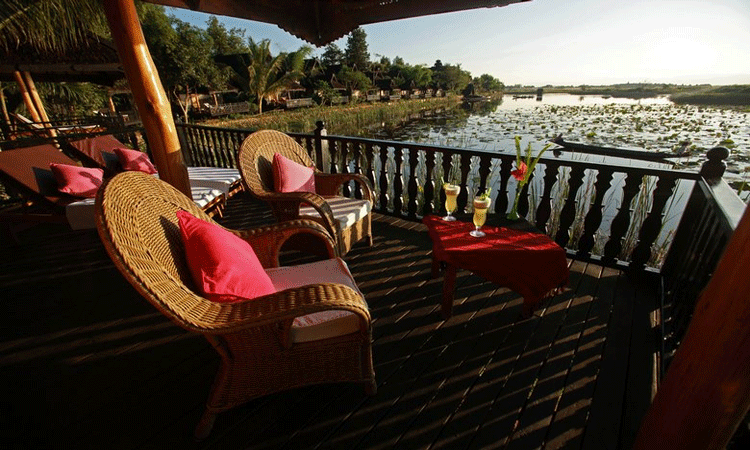 Inle Princess Resort lies on the eastern bank of Inle Lake next to the Magyizin Village; the resort is surrounded by magnificent views of the blue mountain ranges and rice paddy fields, about 113 miles away from Mandalay. From the hotel you’re in the perfect place to explore the holy lake, visiting sites such as Phaung Daw Oo Pagoda the most famous religious site on the lake where you can find five 800 year old Buddha statues. The resort boasts 45 chalets and one grand princess chalet. The majority of the rooms havesweeping views overlooking the lake whereas the rest look over the mountains and private gardens. 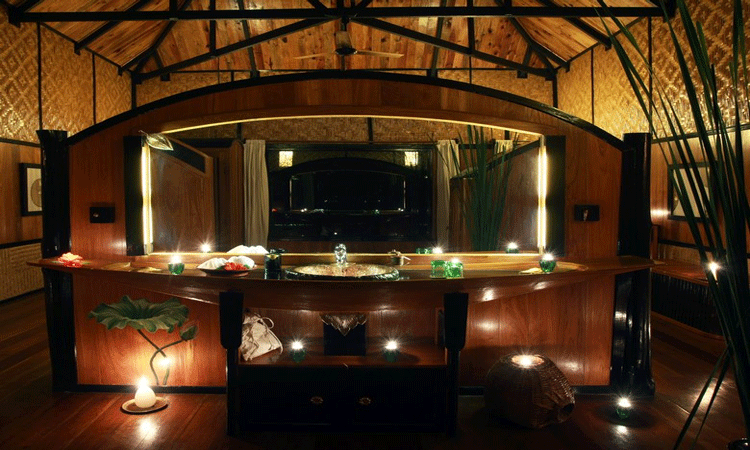 The design is drawn from the traditions and culture of the Shan and Intha people, think simple and soothing interiors in hues of dark wood and cream with flickering candles dotted around creating a peaceful setting that complements the surrounding area. Each Chalet has a large front facing glass window that naturally lights up the inside of the room and also provides you with fantastic views of the surrounding scenery. The large, sumptuous beds are positioned in the center of the chalet beneath the high roof top, and for the perfect way to watch the sunset head out onto your own private terrace that overlooks the glistening lake. Rest and Relaxation is at the heart of your experience here at the Inle Princess Resort, and what better way to indulge your senses than with treatment at the Princess Heritage Spa. Inspired by the local Shan people, the spa treatments have a way of healing the body, mind and soul, based on spirituality such as meditation and cleansing ceremonies and herbal medicine.